The day started as a rainy, windy, cold morning. 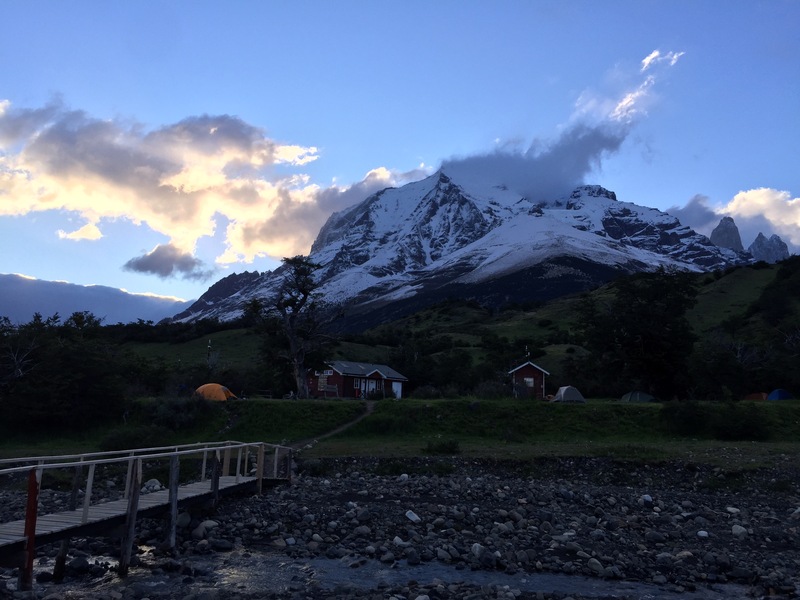 Dan and I opted to get a little more sleep before we had to break our camp here ( tents stayed, but everything else had to come with us). We gathered out stuff and hobbled to the porch of the hostel where we discovered that a total of nine had succumbed to food poisoning in the past 12 hours. 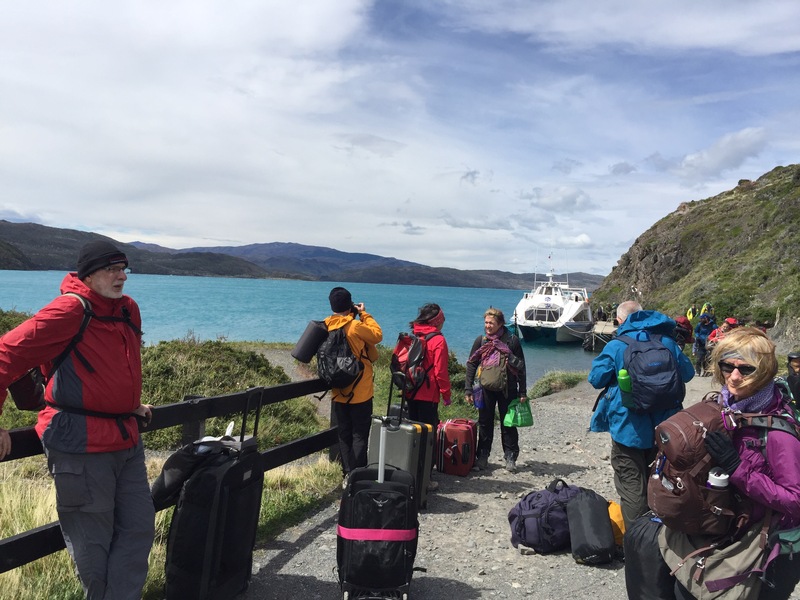 We hauled our suitcases back down to the dock, where we once again boarded the enclosed catamaran for our return to the other side of Lago Pehoe, and picked up a bus that took us to our next campsite. Dan and I managed to get ourselves and our bags over hill and dale to our next campsite, promptly set up our tent interior and got under the covers for a little recovery sleep. Dan slept until around 5, when he got up to head over to the small restaurant for a bowl of soup. I, on the other hand opted to stick with my flat ginger ale and Gatorade! We both opted out of the walk this day which was wise. The 5 or 6 of our crew that were up for the walk battled winds gusting over 100 km per hour! Finally, both of us were able to join our group for a light supper. Then guides had arranged for a lighter meal with a broth soup and predominantly vegetarian type of stew. 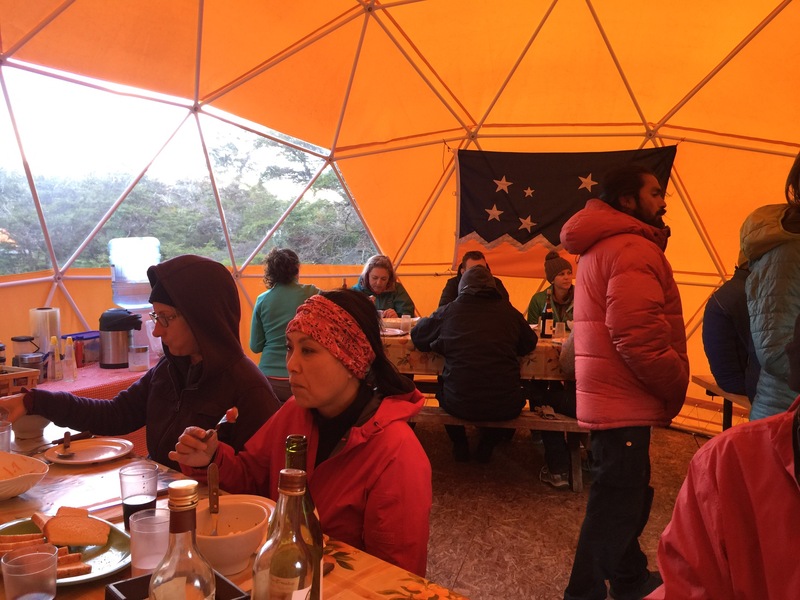 At this park, we had our own dining tent… a little more intimate, but breezy. The good news was that we could see the food being prepared in the tent next door! After dinner I even had enough energy to take a little walk down by the stream that ran by our campground to see the view! Another gorgeous setting! Well a pretty laid back day truth be told, but it was also a great rest day for my knee. 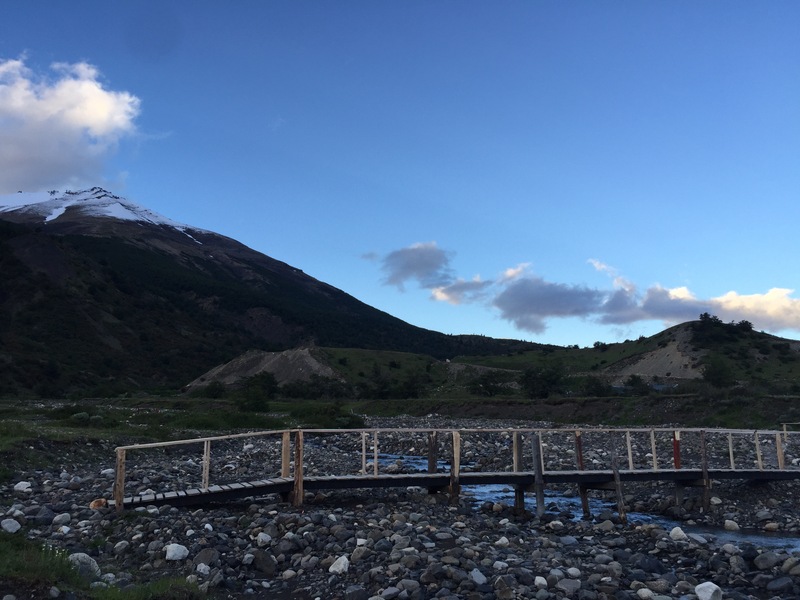 Tomorrow’s walk was one that I had come to see, and I was hoping I could be strong enough and the weather to be clear enough for us to make the trek! I guess you’ll just have to wait to find out!!! Hope you guys are feeling better. Lousy time and place for food poisoning! We are feeling rest, and tucking into some great Argentinian wines!!! Feeling your pain; hope the news is brighter in the next post!